Ford has brought two American automotive legends together to create a masterpiece one-off which will be soon auctioned for charity. 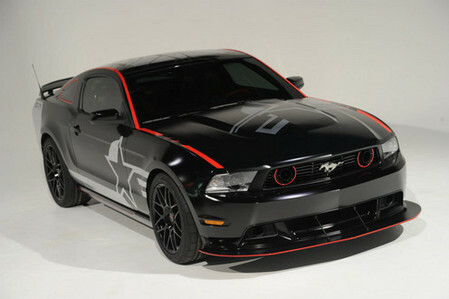 They are Carroll Shelby and Jack Roush which have partnered to create this Mustang SR-71 which is inspired by the SR-71 US Army aircraft. That’s relevant since the proceeds from the sale will benefit the EAA Young Eagles organization. EAA AirVenture Oshkosh will be held from July 26 to Aug. 1 at Wittman Regional Airport in Oshkosh, Wis. The vehicle is based on a 2011 Mustang GT 5.0 with the glass roof option, and apart from the awesome visuals, it comes with Supercharger, Handling Pack, tuned exhaust, and exhaust tips and generates an additional 100 hp over the car’s standard 420 hp.